normal: as in the rules, the players put a new token in the dungeon alternately. fast: each player makes a wish list for the setup, then puts every token in one time after the program confronted the two lists. This setup is faster, but less strategic. A game is normally played in 5 victory points, but you can to play longer games in 6 or 7 points. 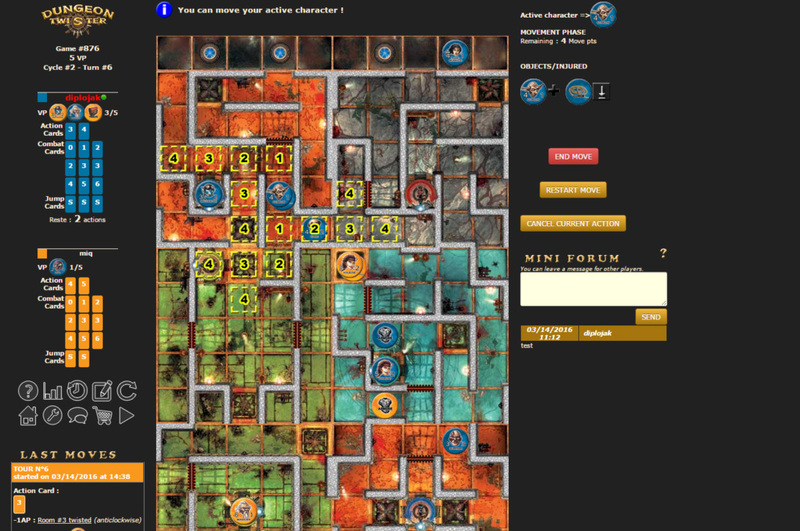 choose the orientation of the dungeon, to fit with the screen. Chrome, Firefox, Internet Explorer 7+, Opera, Safari.